Marilyn Monroe in a photo taken by Hal Berg who was a co-worker of the author’s father. 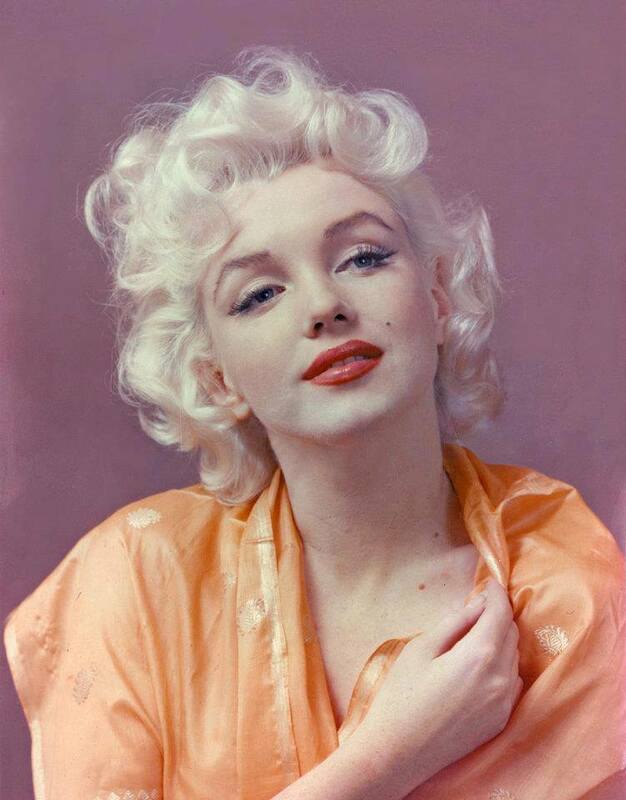 HOLLYWOOD – For those who are just getting to know us on here, don’t be surprised and please don’t mind me if you see this post about Marilyn Monroe in memoriam. You’ve already seen a lot of posts about her here. To one of us who runs this site, the author, she is someone who has been very dear to my heart since childhood, and two years ago learned we are even distantly related. To another, Marilyn is their second cousin. This day at this time 52 years ago, she was tossing and turning in her bed, after a poor night’s sleep. When she retired on August 4, 1962 for the evening, she did not wake up. Her body was found August 5, 1962. I believe she was brutally murdered, through the use of medications, administered by her doctors.They wanted to take her out to gain her monies because she was cutting them out of her will and life. She was set to remarry the love of her life, Joe DiMaggio, on August 8, 1962, and planning to change her will on August 6. On August 5, police instead found her body. Today, the Anna Freud Foundation and the descendants of Lee Strasberg, who ran the Actor’s Studio, both beneficiaries on her will dated in 1961. She fought bitterly to sign this and was eventually coerced. Only a few weeks later, she was tossed into the Payne Whitney Clinic. I believe, they had planned to keep her there, and eventually deem her incompetent. She knew she didn’t belong there, and was put there under false pretenses, even told to sign herself in under a pseudonym. Then she watched the doors close behind her and lock. If it wasn’t for Joe DiMaggio, the only one to answer the call, I think she would have never been saved. Others, including Lee Strasberg, who she wrote pleading letters to, turned a blind eye. 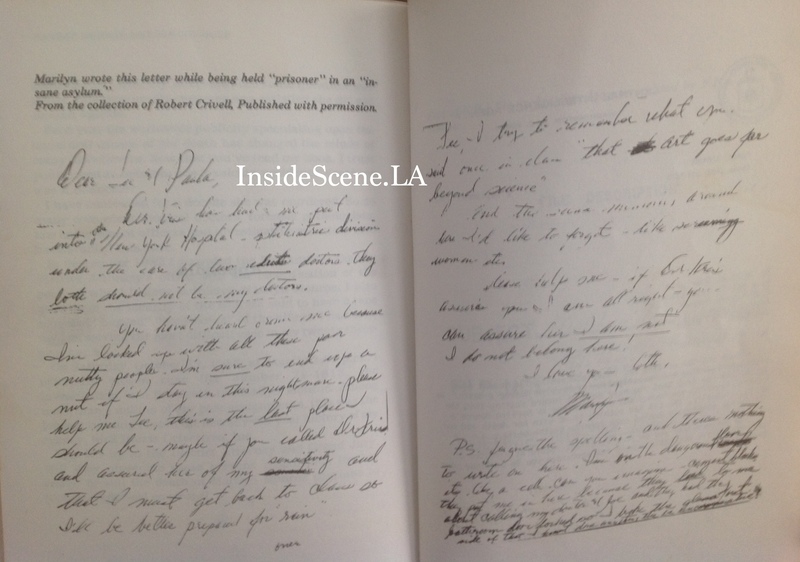 Marilyn wrote this letter to Lee Strasberg, when she was incarcerated in the Payne Whitney Clinic. These were not the writings or rants of a person who was mentally ill, but someone who was clear and concise. Lee Strasberg and his wife, Paula, were dismissed as well her doctor, Ralph Greenson, an advocate of Anna Freud’s, and the one who offered her…and they all enjoy the fruits of Marilyn’s labor, when she never could. They all went to their graves, never charged for the crime. I write about this in my book Marilyn Monroe & Joe Dimaggio – Love In Japan, Korea & Beyond…it is a heartbreaking topic for me because Marilyn has been defamed for many years…falsely connected to the Kennedys and mocked for being addicted to sleeping medications, which her doctors kept her hooked up to, and being told she was “troubled.” They have said she was never loved, except by them, that they were her “family.” Which is untrue, because she had plenty of family. The fables have gotten worse over the year…she was said to have been the plaything of mobsters and Sinatra, and many other sordid things. None of these tall tales were true. The sad truth of the matter is that Marilyn was abused emotionally and physically, by those who held tight to her, to gain financial control. The group “Marilyn Monroe Club Passion,” a French fan club, was the first that I have seen point out, that Marilyn has a black eye in the photo below. Something that has been covered up as a “fall” in the shower shortly before her death. The truth of the matter is that people saw Marilyn roughed up physically by Dr. Ralph Greenson in her last days. She was taken in to a plastic surgeon just before her death, and the x-rays, which were sold at auction not long ago, show a hairline fracture to her nose. The astute fan club also pointed out that Marilyn normally took baths, not showers. 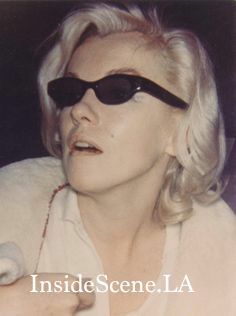 Marilyn in this photo, hides behind her sunglasses, including a black eye that is peeking out from beneath, that Dr. Ralph Greenson administered. She was instead, a lovely and shy woman, who trusted the wrong people, and has paid for it in the afterlife with character assassinations on this planet. We need to remember that above all. The biggest conspiracy was covered up with other conspiracies. Many don’t like to talk about these dirty little secrets, and instead, focus on the fluff and rehash old tabloid fodder. Rest in peace beautiful lady, though this rest was premature…you could have enjoyed a lovely life with Joe, who never remarried and on his death bed, 37 years later, said how he would finally be reunited with you. Your life was stolen out from under you…you were stolen from him. How cruel. I am glad to be able to, through my writings, restore and rebuild the truth that has been swept under the rug for the last 52 years. Love you. Like what you read here? Stay on the scene with InsideScene.LA and click here to follow us on Facebook.